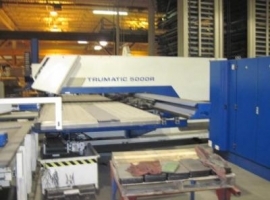 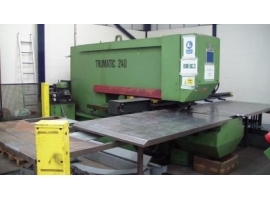 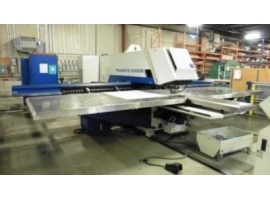 Product Deion TRUMPF CS 20 A COPY PUNCH PRESS / NIBBLER, Working range 1300mm x 2000mm, Punching capacity 20 tons, Punching capacity 10mm thick, Nibbling capacity 12mm thick, Strokes per minute 200, 300, 400, 600. 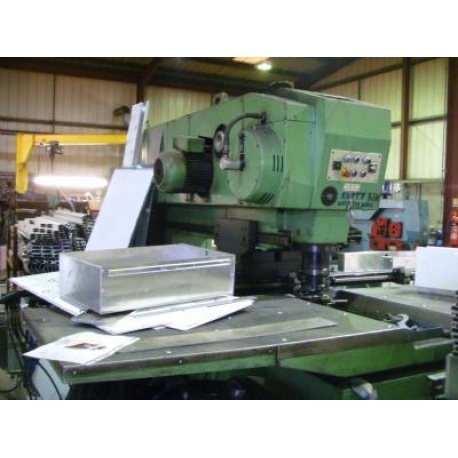 Large range of tooling, circle cutting, 2 axis digital read out. 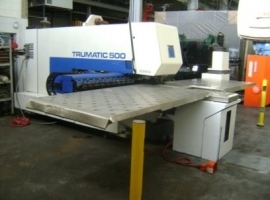 Serial no: 9024.